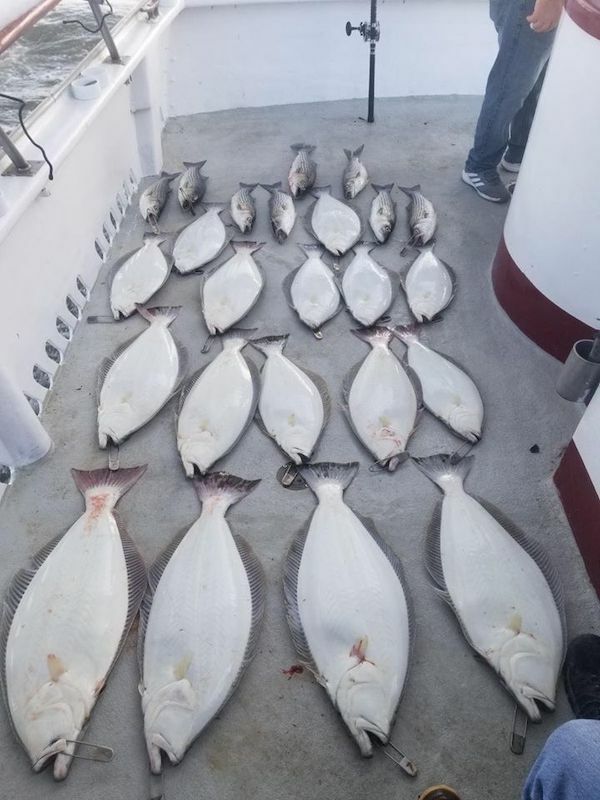 We had a fantastic day on the water! The bass got up on the surface crashing all around the boat making for an exciting morning. 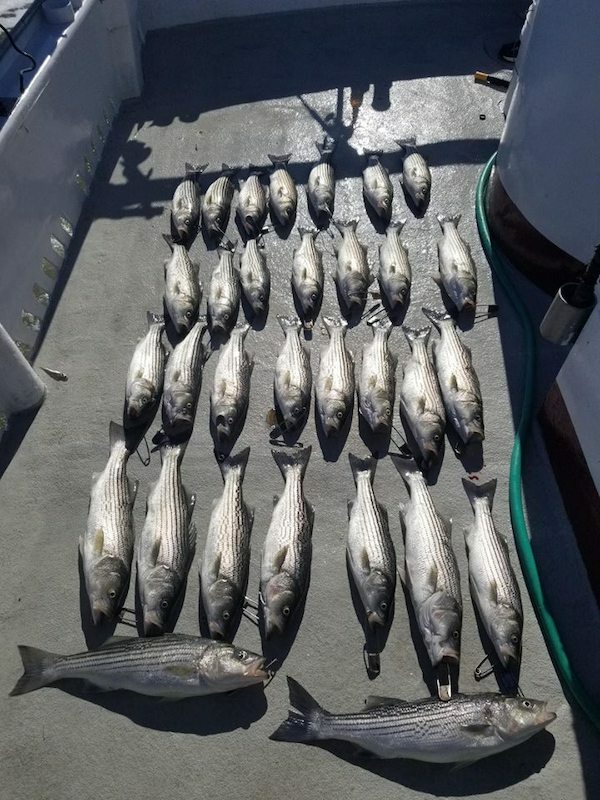 We had the entire boat hooked up several times before we finished up with full limits of stripe bass. 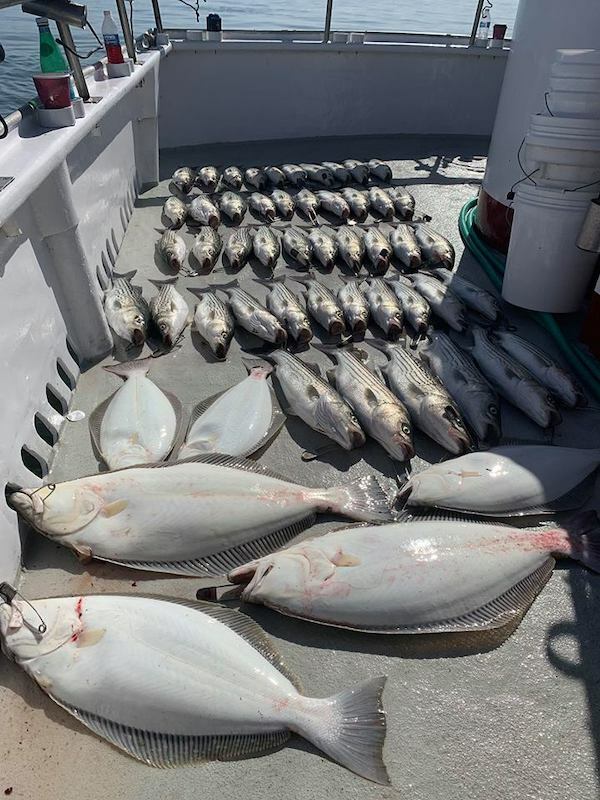 We then focused our attention on the Halibut getting into quite a few throwbacks 25 and taking some nice keepers. Our group decided to know off early. Around noon. The California Dawn operates out of Berkeley Marina. We are the the only boat in the bay area with a hot galley. 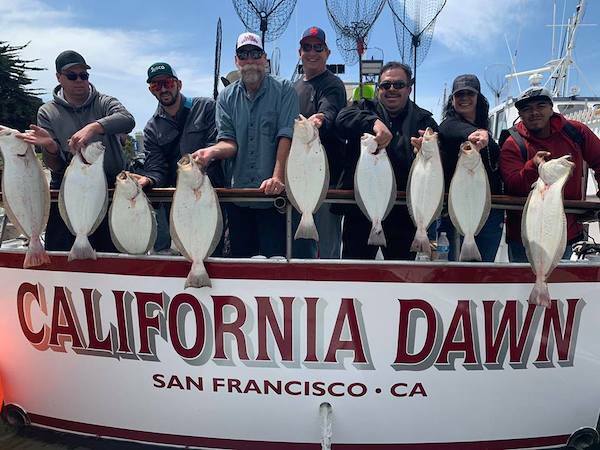 If you would like to go fishing with us please call (510) 417-5557. For more information please visit our website www.californiadawn.com.